Like I said yesterday, here’s my blueberry muffin recipe that you just have to try because they’re so scrumptious! • Grease a muffin tray and add your muffin cases! • In a separate bowl/jug, combine the oil, milk and egg and give it a good whisk. Then add to the dry ingredients (all at once) and stir everything into each other. • Combine the flour for the crumble topping with the cubed butter using your fingertips until it’s like a breadcrumb consistency. • Add the sugar and the cinnamon and then sprinkle on top of the muffins. • Bake for 20-25 minutes (remember to prick the largest muffin in the centre to make sure they’re baked throroughly). 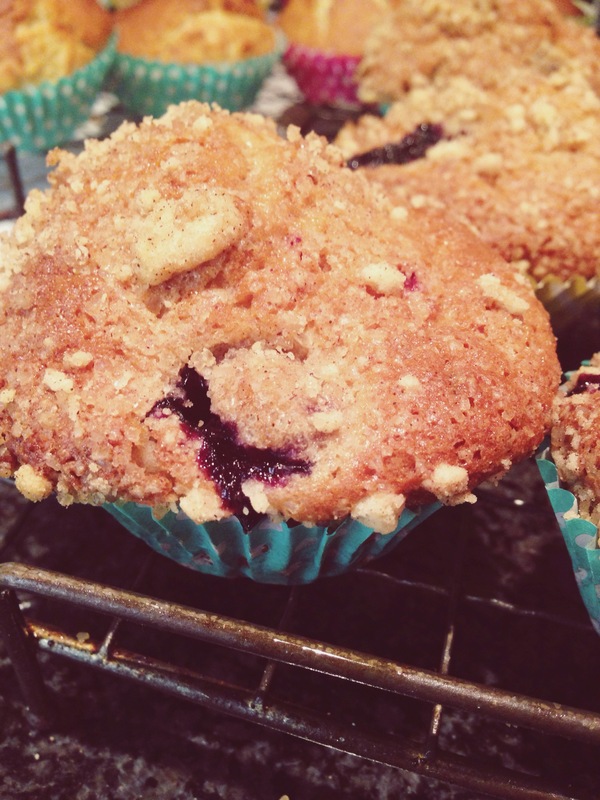 I’d love to see photos of your finished blueberry muffins so feel free to send them over! (Contact @ top of page).